The scallop, from the Pectinidae family, is very common in the seas around the Spanish region of Galicia. 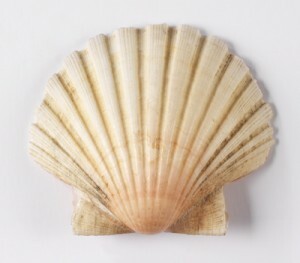 In the Middle Ages, the St. James pilgrim route did not end in Santiago de Compostela, but in Muxía and Finisterre, where the pilgrims collected a scallop as proof of their pilgrimage. Today, a scallop shell remains the symbol of the Way of St. James.